Phones are getting huge. Tablets are tweeners. PCs are on the uptick. Microsoft just announced a new lineup of its Surface PCs and tablets and HP unveiled a leather laptop, so it’s a good time to ask: What’s right for you? What’s the difference between a sub-$1K PC and a more than $2K PC anymore? Patrick Moorhead, a top industry analyst who also personally reviews products, joins me at the Microsoft Store in Midtown Manhattan for an unbiased look at the smart shopper’s approach to today’s computing market. We’ve got a fascination with founders in our culture – people who start stuff. Elon Musk. Jeff Bezos. Bill Gates. I’ve had a new generation of founders here on Fortt Knox: Stitch Fix founder Katrina Lake, and Guild Education founder Rachel Carlson to name a couple. So this week we’re going to dig into what successful founders do right, and what we can learn from them. Because hey: The way I look at it, even if you’re not starting the next Apple, the chances are pretty good that a lot of us have started something, or will before too long. Maybe it’s a small business – a major project on your job. My guests: CNBC Wealth Editor Robert Frank, who has chronicled the ways of successful entrepreneurs for many years now. And the irrepressible Scott Galloway, Professor at NYU’s Stern School of business, author of New York Times bestseller The Four, which examines the animating ideas behind Apple, Google, Facebook and Amazon. This week for the Fortt Knox one-on-one I’ve also got Maynard Webb. He’s former Board Chairman at Yahoo, former CEO of LiveOps, chief operating officer at eBay, and board member at Visa and Salesforce. The economy's supposed to be really good, if you look at the official numbers. According to the U.S. labor department the unemployment rate was under 4 percent in July, which is a level that a lot of people used to consider "full employment." Everybody who wants a job has one. The system isn't working the way it's supposed to for working people. Here's what I mean. Typically in the past, when so many people have jobs, pay goes up. I mean, how else are you going to get people to work for you if everybody has a job. You've got to pay them more. But that's not happening – at least not anywhere near at the level it should be. The Labor Department reported last month that if you look at median weekly earnings, and you factor in inflation, the typical worker is just treading water. And what about the future? Having a job and making a living are not the same thing. The cost of a four-year degree rose about 25 percent in the last decade according to the College Board, to $34,740 a year. Meanwhile student loan debt Is exploding. So: wages flat. Traditional schooling expensive. We haven’t even talked about the cost of raising a family if that’s your thing. What are you going to do if you’re not already in the job you want to be doing for the rest of your life? Today we’re going to find the smart way to navigate all this. Getting the skills for a better job or higher pay without crushing your bank account and going deep in debt. Joining me on the show to help you make your plan: Here with me at the Nasdaq, Laura Pappano is an education reporter who lives and breathes this stuff, writing in the New York Times, the Hechinger Report and more. Joining us from Denver, Rachel Carlson, cofounder and CEO of Guild Education, a company that helps employers offer education as a benefit to employees, kind of like healthcare – clients include Walmart, Lowe’s, Taco Bell and Chipotle. And finally, joining us from Cambridge Massachusetts, Anant Agarwal is an MIT professor and CEO of EDX, a free-to-learn platform. When business at his online snowboard shop slowed, Tobi Lütke founded Shopify to sell the technology behind the store instead. Tobi Lutke is the founder and CEO of Shopify, a public company worth 17 billion dollars. The shopping landscape is changing fast, with new tax laws, same-day delivery, in-store pickup and mobile payments adding new twists and capabilities all the time. Lutke, and Shopify, provide technology tools to simplify all that for merchants. 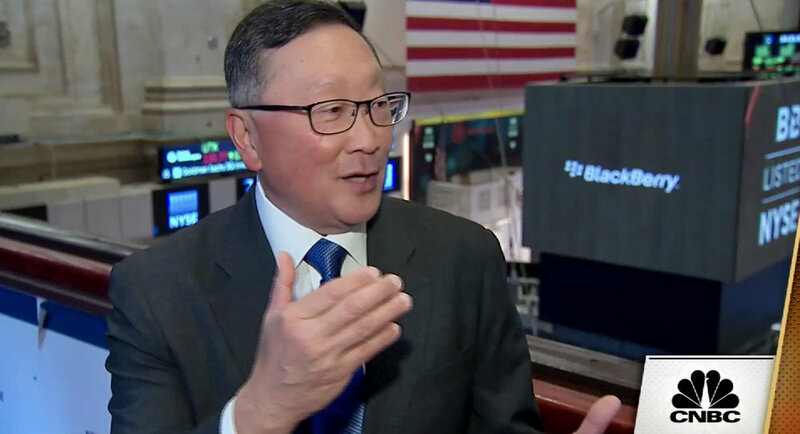 I talked with Tobi recently at the Nasdaq Marketsite in Times Square, as talk of tariffs and taxes are swirling. We talked about what's allowed Shopify's stock to double in a year, and how he went from a teenage German apprentice to a Canadian entrepreneur … who's now a billionaire on paper, by the way. Q-Tip, of pioneering hip-hop group A Tribe Called Quest, has branched out as a producer, solo artist, artistic director at the Kennedy Center, and soon a lecturer at NYU. 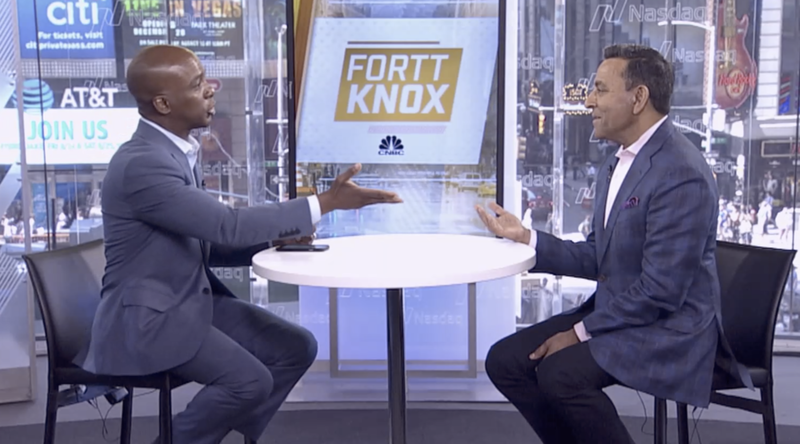 The mission of the Fortt Knox podcast is to bring you one-on-one, unfiltered conversations with interesting entrepreneurs and leaders, and show what makes them tick. Most of the time, they're CEOs or founders. Sometimes I get to spend time with a guy like Q-Tip, whose approach to his craft has shifted the way we think about modern music. Q-Tip is probably best known as part of A Tribe Called Quest, a group that emerged in the late ‘80s and early ‘90s. Hits like “Can I Kick It?” “Scenario” and “Bonita Applebum” cemented Tribe’s place as innovators, both in their lyrical cadence and the way they used sampling and a broad mix of musical genres to make something new. A Tribe Called Quest released its final album in November 2016. Member Phife Dog, Malik Taylor, passed away from diabetes complications earlier that year. I talked to Tip about his new music, his other creative efforts, mourning Phife, and the state of the music business. Here's a bit of what he shared. For the full conversation, subscribe to the podcast or stream the video on the Fortt Knox YouTube channel. I was working with Jack White, and we had this song, and I was like – man, we should get Elton. And we reached out, played it for him, he dug it, flew out to London, cut it – and he was just extremely gracious and just open and it was just a great experience. When the time came for him to do his legacy piece, where he had all these different artists cover, you know, he reached out and gave me the pick of the litter – so many great songs he’s done – to choose from and redo. And I was like maybe "Don’t Go Breaking My Heart," because at that time it was crossing into disco, it was still a great song, it had some soul. So I was like, let me take it, and flip it, recut it. Reached out to the great Demi Lovato, who’s amazing, and we knocked it out. He’s kind of rooted in blues, country and soul. He’s really on more of a blues-man, piano-playing, kind of edge, rather than a modern-rock thing. That’s his rearing. Obviously having the facility as a musician – he and Bernie were able to kind of pen some of the greatest songs of the last century and in this one. They had a connection, they had a real partnership creatively, and they rode it till the wheels fell off. It’s, like you said, such a diaspora of different idioms that he melds into what’s uniquely him. I think that’s what keeps him going – is just his joy and his love for what he does. You know, he’s on the road right now probably doing three hundred shows. He’s one of those people that’s definitely an inspiration. Major. One of my major influences. You know, I have a few, and he’s definitely in there. Since his first album. I feel like, especially in today's world, the word 'genius' gets used carelessly, but it’s appropriate in his case. You know, you’re talking about a prodigy who at 18 recorded his own album, and self-produced it, which was kind of unheard of in 1979. He’s somebody that I’ve always admired, studied – he’s just so much a part of what I do, even still to this day. As I went into my career, having the opportunity to have worked with him and knew him intimately – that was my boy. He was like my big brother. We would have just hours and hours and hours of conversation about music, life – everything you could imagine. To be able to share the stage with him, and work in the studio with him – I mean, I’m pinching myself. … That was my big brother. He would tell me other stuff, and he was like one of the first guys on the Internet. I remember him telling me all about it and setting up his sites and stuff like that and watching it. It was just really a great – you know, he’s one of my mentors, and I miss him dearly. That whole year, 2016, of the loss, because right prior to that I lost Phife. I think he reached out but I didn’t get to speak to him because I was just in the middle of all the bereavement and all that stuff. Then a few weeks later, he was gone, and it was just like, "wow" – it was a heavy blow. But his contribution is timeless. When the archaeologists come to go through the rubble and they look for, "What was this culture?" They are going to look to the art first, and I’m sure they’ll find his follicle. In a rare, in-depth interview, Q-Tip, the Abstract, a.k.a. 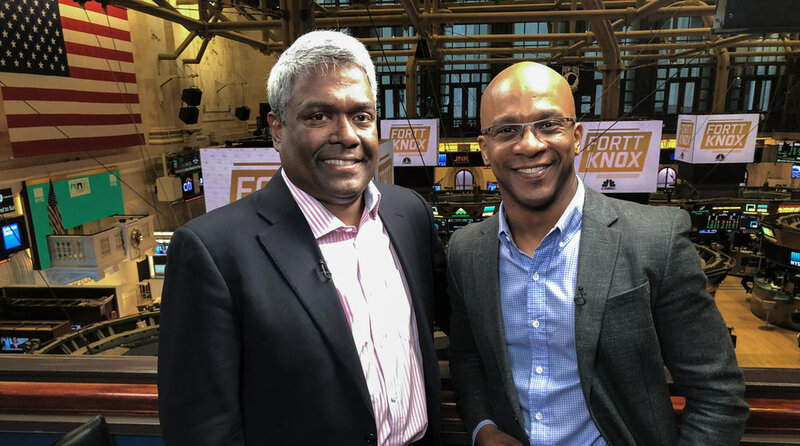 Kamaal Ibn John Fareed talks to CNBC's Jon Fortt for an episode of the Fortt Knox Podcast. They discuss the state of the music business, the creative process, reflections on the Native Tongues movement in the '80s, the role of streaming platforms, and a lot more. We exist in a paradigm here where it’s capitalism, we have to capitalize. So then when we enter into these contracts, into these deals, everybody, I think, is trying to look out for their best interests, but it seems the controlling factor goes beyond looking for their best interests – control. If you don’t have faith, and I’m not just talking about a faith in your talent or a faith in what you were gifted, but a faith in where that comes from. It could be rough, because you’re always going to be dealing with challenges. I think that the music industry has missed a step or two, but one of the major steps that I think that they missed in the latter part of the last century, which they’re still kind of licking their wounds from, is not embracing the Internet and how the Internet can be another conduit for them to put out product. Where the music industry was still a little bit fat off of the CD explosion, because it’s all about ‘how many different ways can we present this that’s in a hardware?’ It’s vinyl, then when they figured out they could put the same thing out with no cost, but just on a different medium which is cassette, they reintroduced that. They have these talks with different audio companies and car companies on how they can change their formats that now can assist this – it gets a wider reach which is great for the audience and great for the artist, because now it’s dispersed on another medium. Now here comes the CD, and when everything was reissued on CD in the 90s, or the 80s rather, the music business saw a crazy surge because their catalog just got bought again by all of the consumers. When the Internet came along, I think a lot of the gatekeepers were like ‘get away from here, kid.’ It was something they didn’t have the vision to see that far ahead – it was kind of a new thing for a lot of us on that end in the business. They didn’t really have people that could see the explosion. So now, the music business, kind of, has to re-approach it. Re-approach the contracts, re-approach how they deal with artists. They cut off different arms of their companies, like artist development arms and things of that nature, to save costs, and now it’s really about analytics and numbers and metrics to try and gauge what’s what so they can try and jump in. Putting your music out, like you said, you don’t have to wait around – you can get it going on your own. It’s really liberating to do that. The other problem on the other side of that is that because of that availability, because of that instant access, to be able to professionally gather your ideas, launch it out yourself, is that because of the ease, now a lot of people think like they can do it too, kind of. That’s a problem, because for the actual work – like I didn’t just wake up and just do it – I had to still work, it’s work. You have to put that time in. You have to put the hours in. You have to put the days in. And you can’t cut corners, because if you do, all that easy access to be able to make stuff and push a button and put it out – you may catch a look initially, but because of the lack of work and substance that’s there, it’s going to be short-lived. So, I would encourage everybody that, because yes, there is an ease and a quicker track to getting your thoughts and ideas out there, you still can’t duck the responsibility that you need to have to your craft. It’s cathartic. It’s a refuge. That’s one of the things that unifies all of us under the auspices of art. It could be music, or literature, or film or what have you; these things are able to potentially encapsulate where you are in your life, good, bad, or otherwise. These things are able to encapsulate how you feel about yourself or the world or about others in a specific way. These things are able to encapsulate your queries or your pains or your questions or your sadness, and they’re also able to help build you, and make you, and inspire you to go forward. So for me, watching my father basically pass for over a year in front of me, and then him passing when I was 16, the music was always a safe haven for me. It was a place where I got to express myself. It was definitely a refuge. It was very trying, but it was also cathartic too. We were still working it out. I’m sure some of the people who were watching or listening were still kind of working out that loss for them, but just loss in general. For me personally, it was something – you know, after that we did a few shows. But I couldn’t move without him there. It was definitely a lot. But I’m happy I accepted that challenge and went through it and experienced that. And I’m able to call it out and notate what I was feeling. I think that was instrumental for my continued growth. But yeah, it was tough. When you hear the voice, and you’re on stage – it’s something that not only did we build it, but I knew him since we were four years old. To lose your friend – it’s not many people that you grow up with since four, that you still stay in contact with through your latter years, and on top of it, create something with that person, and make something with that person. And, on top of that, make something that people seem to dig, you know what I’m saying? I think that at the time, we were just blessed to be able to be at the right time at the right place – that’s part of it. Also, prior to us, you were starting to see the different shades of black complexity through this music. On its initial implosion from the early '70s up into the '80s, it was kind of like a smaller dimension, but like most things that grow, it started to widen, and then through that it was able to carve out paths for other people to enter. You know, at that time, we were able to express that we were more than one dimension. We don’t just do X. We do A and D and H and J – just like everybody else. Because we were one of the first to have that position about showing our complexity, and showing our levels, and showing our depth – I think that’s probably why you still, you see J. Cole and you see Kendrick – there’s still outgrowths of that. Yeah, yeah I do. Which is probably why Prince is my boy. I have a lot of stuff, but I’m striving to put it all out. There’s other things that happen in life that you kind of have to tend to, as well, and take care of, but I’m confident that all of that stuff will see the light of day, and I can continue to do that. … and is the lesson from your to do work that makes you hone the fundamentals of your craft …? …that makes you work. That makes you not think about the fact that you’re doing work. Do work that makes you not think about the fact that you’re doing work. Before we set off to do our work, we could be anxious or doubt or nervous or whatever. But the minute we drop into, and we step – 'cause we have to do it – so when you drop into it, and you get into it, it’s almost like when you start running for all you runners out there. After you hit a certain pace, your endorphins kick in, it gets bright, and you can go a bit further. You don’t think about the pace, at a point, that you’re running, because you’re working and it starts to feel good and it builds you. So when you do work that makes you not think that it’s work, and you drop in, you start to do it – it feeds you, it builds you. The work it becomes rote, it’s a mediation, and then by the time it’s done, it’s like, "Wow, I did that?" For them it’s really about market share. It's about consumption. It’s about having the most to be the biggest. Because when you’re a conglomerate in that way, you kind of become – like, I don’t know if you’re into comics, but you become Galactus. And Galactus was the one going around swallowing worlds. That’s all he did was swallow worlds. So, who's going to be Silver Surfer? See? Silver Surfer. And that’s where I believe Jay-Z is Silver Surfer, and QuestLove is Silver Surfer, and I can be Silver Surfer. Instead of airing complaints and stuff like that, you have to kind of see it from both sides. You have to put yourself in their shoes, right? So I understand that in order for Galactus to survive, his practical need is to eat worlds. In order for Norrin Radd, or Silver Surfer, to save his world, he says, look, "I love my dear world of peace so much, I’ll go out and get other ones, but leave this one alone." So I understand Norrin Radd’s position. You’re dealing with something that’s just one-dimensional, you have to consume, cause if they don’t have market share, then they fall. That’s bottom line. There’s thousands and thousands of people who work at these companies. People. They have to sustain themselves and their lives. A big shout-out to CNBC producer Tyler Eyre, who worked to book Q-Tip, transcribe the interview, and get the video edited. Scott Wagner has taken the CEO seat at GoDaddy after the company has moved beyond shock marketing into a very different approach to its small business customers. Few companies have gone through the kind of image transformation GoDaddy has over the past decade. Back in 2005, GoDaddy launched its first commercial that used women in revealing outfits and sexually suggestive themes to sell web services. Wagner became GoDaddy's CEO at the beginning of this year, and those commercials are long gone. Today's GoDaddy bears little resemblance to the one of a decade ago, which is probably a good thing given how cultural winds have shifted. I talked to Wagner about his journey to the CEO seat, and what he's working to do with the products and culture. I got some time with Scott Wagner at the Code Conference in Rancho Palos Verdes, California. We talked about leadership, culture, and what it will take for small businesses to thrive in this latest wave of the digital economy. We also streamed the conversation live on Facebook, Twitter, YouTube, and the CNBC apps on Apple TV and Amazon Fire TV.